Plant hardiness zones are frequently mentioned in gardening. But, do you know what your zone is? Or, how to find it—and what it means for your garden? Dig in to get the basics for beginner gardeners. This is one of many tips for beginner gardeners here at Empress of Dirt. NEW! Click play to listen to this article. So, what is a plant zone or plant hardiness zone, and what does it mean for your garden? That’s a fundamental question for all gardeners, and different parts of the world have different systems for assisting with this. Most experienced gardeners in the United States and Canada will know their gardening zone under the method developed by the United States Department of Agriculture. It’s based on minimum annual temperatures. Maxiumum temperatures are also a concern for plants, but not covered by this system. We’re a 6b here in southwestern, Ontario, Canada, which, outside the west coast is almost as good as it gets in Canada. It’s about middle of the pack by U.S. standards, about as cool as it gets in the UK, and cooler than it gets in Australia. The higher the number, the warmer your minimum temperature over the year. Lookup Your Zone in Canada or the U.S.
A range of appropriate zones are shown on the tags of just about any perennial or tree you’ll buy. But there are some things to keep in mind about gardening zones. First, your zones are general guidelines, not hard and fast rules. There are a lot of factors that determine whether plants will survive or not. And, your garden—or even parts of your garden—may be different from the zone for your area, depending on elevation, exposure to sunlight and other factors. Sometimes it’s hard to figure out exactly why, but there are micro-zones or micro-climates within gardens. Plus or minus a zone or even two isn’t uncommon. Zones do change over time as well. Climates change, temperatures change. Your zone is probably not what it was 20 years ago or what it will be 20 years from now. And, of course, what would be a perennial in a higher garden zone may still work fine as an annual in your garden. It won’t likely survive the winter, but you can enjoy it this year, and perhaps overwinter it indoors until spring. 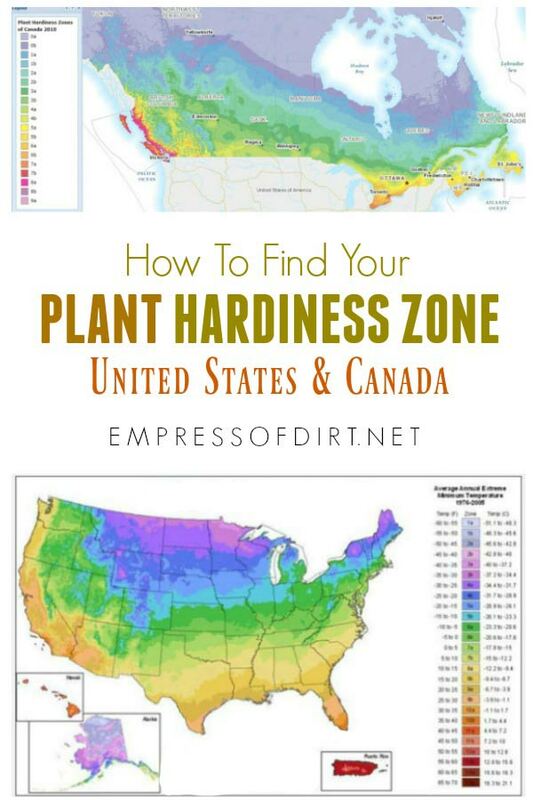 So, as you can see, it’s helpful to know your plant hardiness zone as a starting point. Factors unique to your garden will further determine what thrives in your garden.